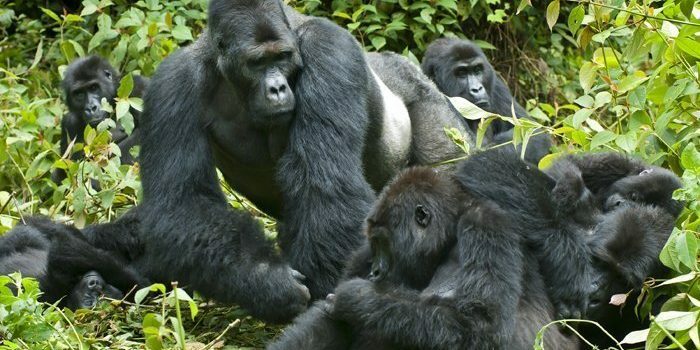 This 5 Days Gorillas and White Water Rafting Safari combines both Bwindi Impenetrable National Park to see Uganda gorillas in the jungle and white water rafting on River Nile in Jinja. This tour takes you to Jinja popularly known for being the source of the Nile-The Longest River on planet earth for the magnificent white water rafting experience. 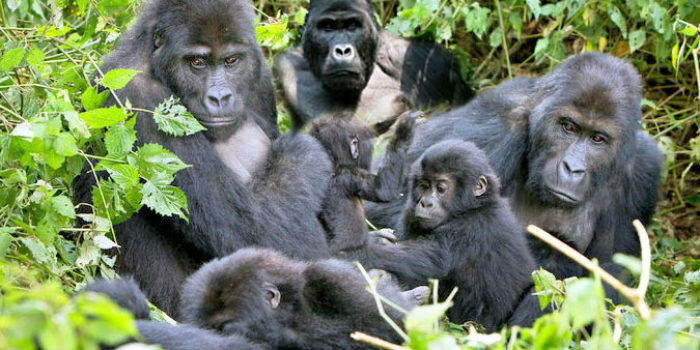 It then takes you to Bwindi Impenetrable National Park where you will have a chance to trek one of the habituated mountain gorilla families and take back memories. 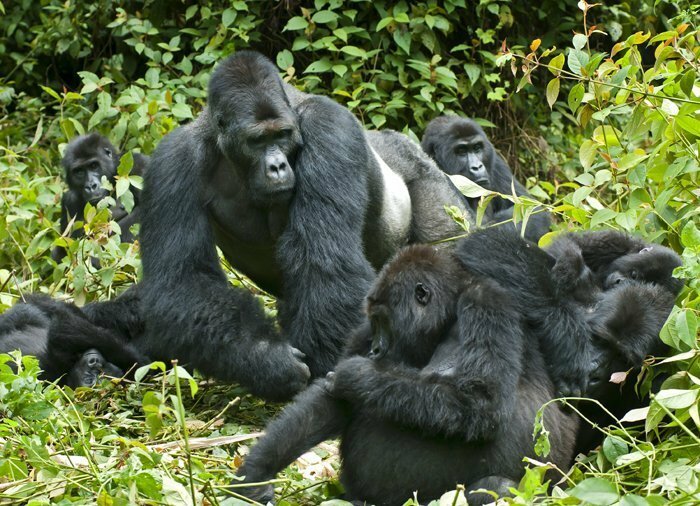 This 5 Days Gorillas and White Water Rafting Safari can as well start from Bwindi and end in Jinja. 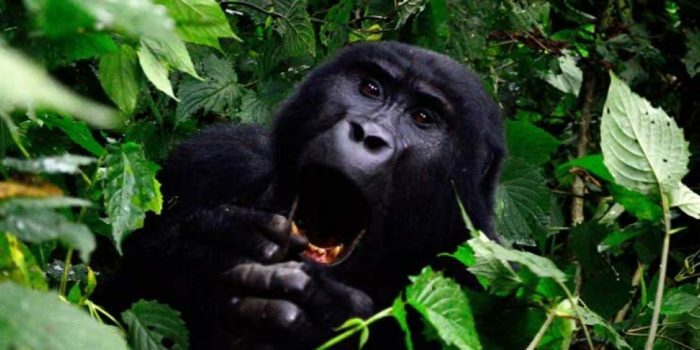 Day One: Pickup from your Hotel and drive to Jinja to start your 5 Days Gorillas and White Water Rafting Safari. Day Two: White water rafting experience on the Nile River and drive back to Kampala. Day Five: Drive back to Kampala/Entebbe International Airport marking the end of your 5 Days Gorillas and White Water Rafting Safari. Upon arrival, you will be met by our guide at Entebbe Airport who will transfer you to Kampala for your overnight. Depending on the traffic situation of the day, you may pass through the city center for a brief city tour (not included in the cost and optional) before proceeding to your overnight accommodation property. Early morning drive to Jinja for the Magnificent Uganda adventure experience. The journey will take you through Mabira forest the tropical rain forest in central Uganda, tea and sugarcane plantations plus several roadside markets arriving at Kalagala falls in time for your full or half day white water rafting adventure on the Nile. You will then return back to Kampala arriving in the evening for overnight at Red Chilli Hideout. Early morning, breakfast with your packed lunch, you will report to the Park headquarters for registration and join other trackers in a briefing about the dos and the don’ts during your Gorilla Tracking at 7:45 am. 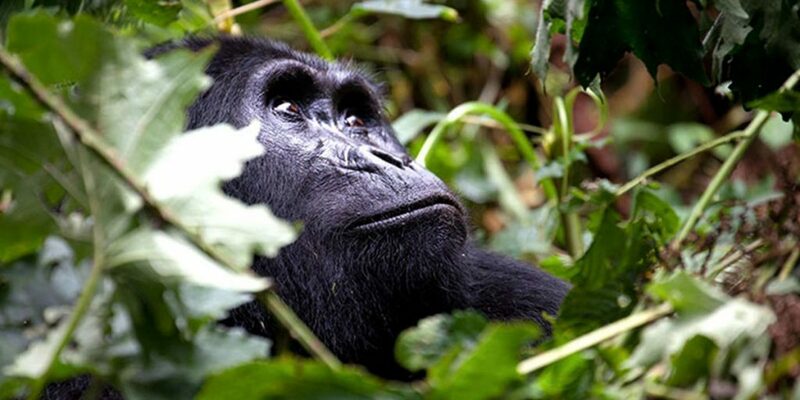 You will trek through thick creepers and undergrowth with your guides to find the Gorillas, which can take you half an hour to three quarters of the day. The steeply forested landscape, is incredibly dense but crisscrossed by numerous animal trails allowing access to tourists. It is an extraordinary feeling being with these beautiful yet endangered Creatures. 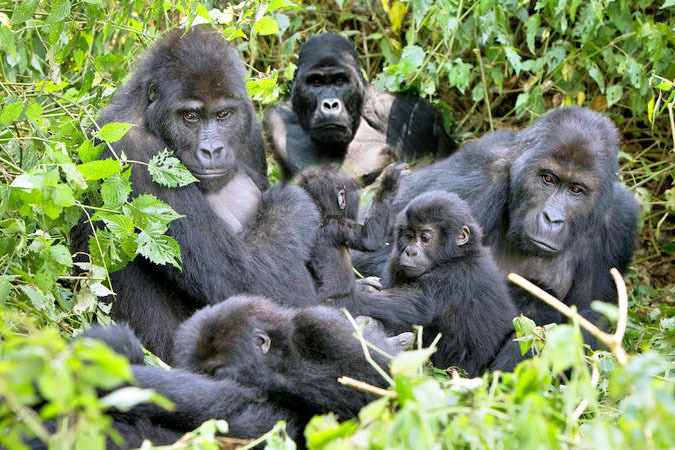 Day 05: Transfer back to Kampala\Entebbe to start your 5 Days Gorillas and White Water Rafting Safari. Early morning breakfast with your packed lunch start long drive back to Kampala/Entebbe International Airport for a- late departure out of Uganda.